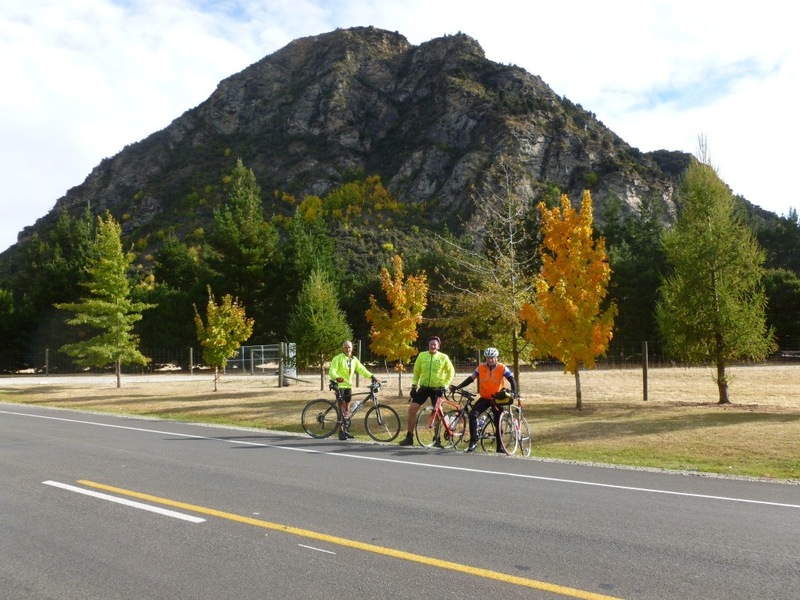 The final day was supposed to be a nice leisurely 65km cruze down the lakes and on to Wanaka. Started out that way with an easy considerate pace which was easy for all including Graham on his MTb. Been having a minor issue with my mates on this trip due to the pace of the peleton. Roger and Ali seem to prefer a pace very similar to a normal ” striders ” weekend ride. I preferred a slower cycle tour pace and I found myself at times drifting off the back as the pace was just a bit faster than my personal ” cycle touring ” preference. We had a small saddle to climb between lake wanaka and lake Hawea and the pace seemed to go up, my imagination maybe?To use the vernacular of Rob – this was starting to ” do my head in” Roger started producing more watts than I was wanting so I started getting grumpy . I thought to myself , ” right .. 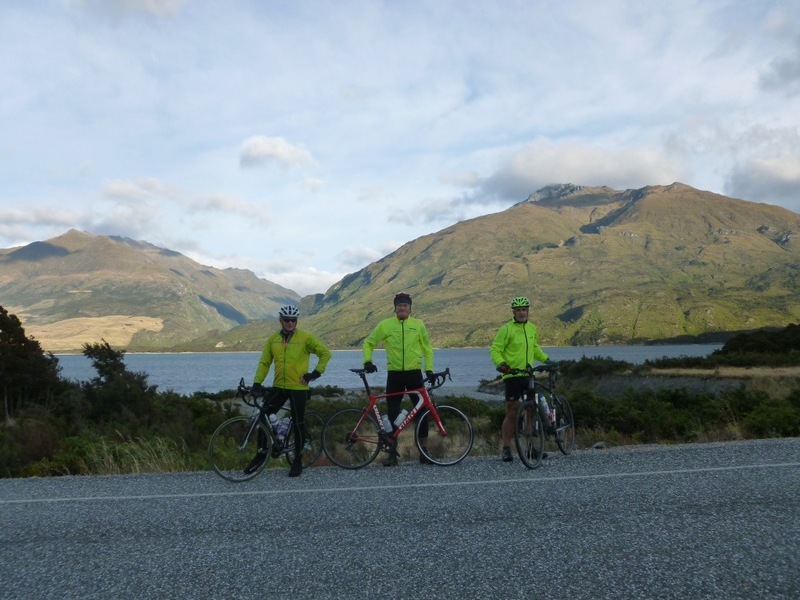 If these boys want hard they will get hard” Then began a fast and furious 20 Kms down around lake Hawea . the lad s responded in style and we were soon strung out along the road with Graham off the back. Ali eventually caught me at Hawea township and we stopped to let the other 2 regroup. Roger arrived with rivulets of sweat streaming from his helmet. 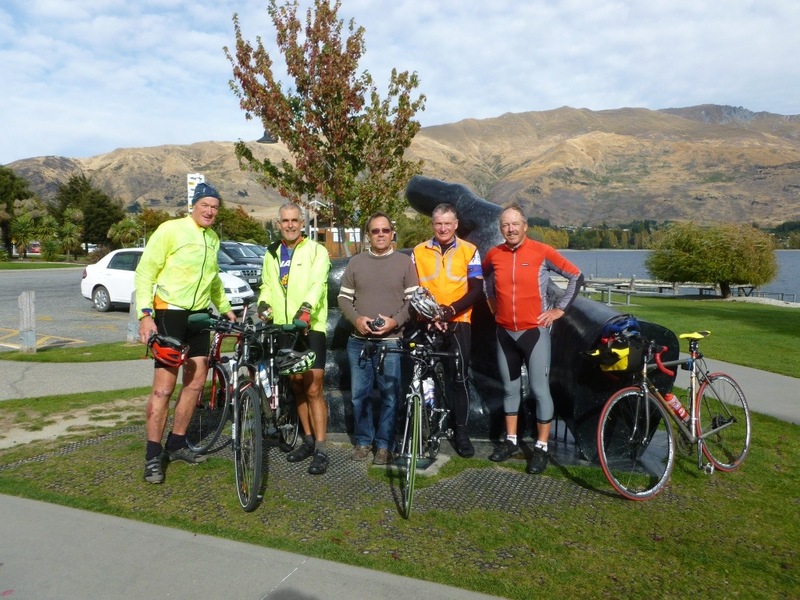 Yes it we hard – but as Ali confirmed we saw bugger all scenery around the stunning lake Hawea. Just another normal striders Sunday! 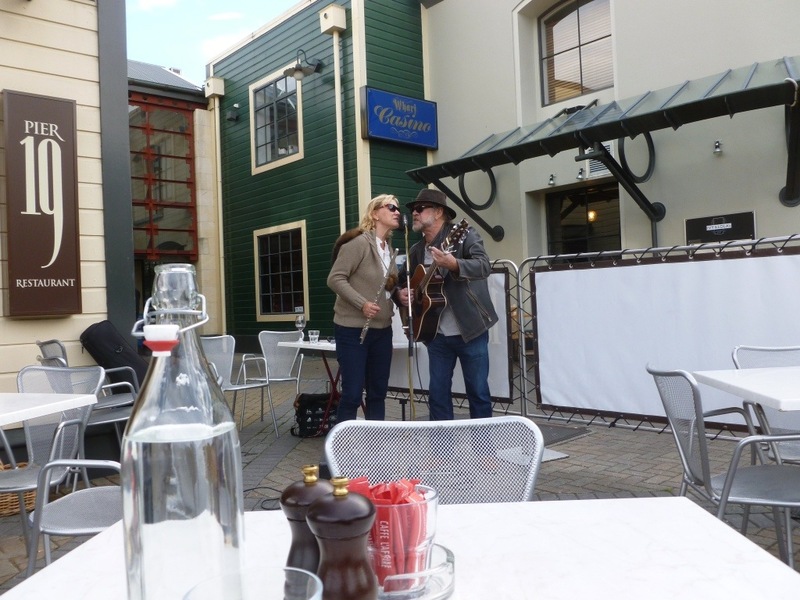 I packed my bag of dirty laundry and after a beer with the guys caught a shuttle to Queenstown as I fly home Monday am. Staying at a nice hotel very close to the airport. 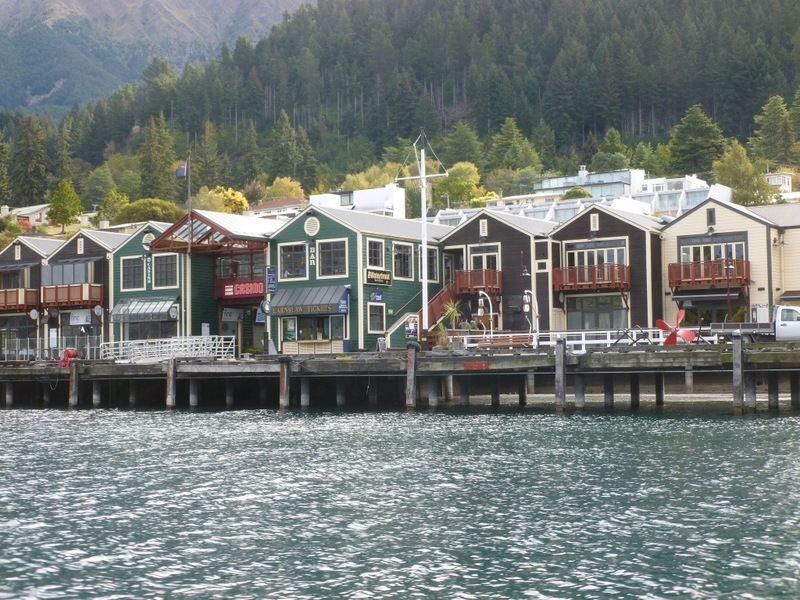 Jumped on a water taxi for a quick trip to queenstown to have a good feed and purchase some urgently needed items – 1 undies / 1 teashirt for my trip home.Enjoyed a very musical lunch on pier 18 . Bruce, it is not a race. Yeah right!